Why Cheyenne? Low Tax Structure! Why Cheyenne? Easy…we have no state income tax here! 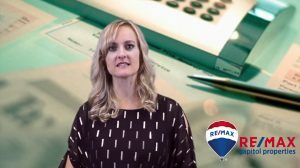 Stephanie Prescott, Director of Growth and Development at RE/MAX Capitol Properties, does not want you to move to Cheyenne! We have no personal state income tax, and no corporate tax! Also, Wyoming was just ranked as the number five state for effective total tax rates for state and local taxes. On second thought, maybe moving to Cheyenne IS a great idea! Cheyenne has a lot to offer with our tax and school systems, and we think you should consider making Cheyenne your home! Call us today at 307-635-0303, or connect with us online. At RE/MAX Capitol Properties our realtors specialize in residential real estate, land development, new construction, investment properties, commercial properties and townhomes. We believe in our community and surround ourselves with trustworthy, hard working and fun real estate agents.